CALIF. PRE-CUT HOMES provides a panelized wall building system that allows you, the owner, to construct your own project called (sweat equity) or to manage your sub contractors (owner/contractor) to do the work for you. We manufacture a quality panelized package, consisting of exterior and interior wall panels, roof trusses, and the necessary lumber, nails and hardware to construct a lockable building. We also provide drafting & engineering blue print service in order to help our client design standard or custom plans. It has been our pleasure to be in this industry since 1976. We look forward to helping you and your family, just like the thousands of families we have helped throughout California and the United States and the world. 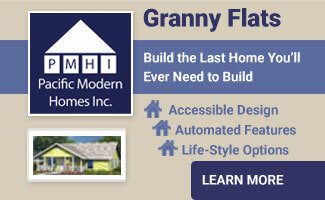 We were able to help them build their “New Dream Home, Addition, Garage, Barn, Chalet, or Multiple dwelling” with CALIF. PRE-CUT HOMES & Pacific Modern Homes, custom stick-home building system. 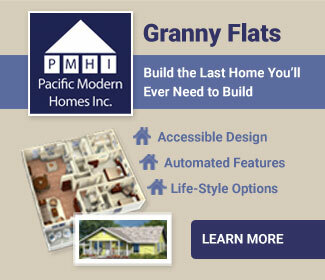 CALIF. PRE-CUT HOMES is a licensed dealer for “Pacific Modern Homes, Inc.” PMHI is a custom stick-home building system. This privately owned and operated company has packaged thousands of homes in California since 1968. Their quality panelized wall and roof truss system have all the features one would expect in a standard or custom home, but at a fraction of the cost. Packages start at $12.00 per square foot for small packages and go up to about $35.00 per square foot for larger packages. Homes, chalets, duplexes, additions, garages and barns, or any building with 2 X 4 or 2 X 6 walls can be panelized by CPH.